A guest contribution by Zach V, aspiring runner and one-time philosopher. One of the things I like most about running is that there are as many reasons to run as there are runners. For those who like to geek out, there’s gear that will track your every move via satellite and automatically update your cloud-based running log, while minimalists can run without even buying shoes. There’s a 5k at a place near you whenever you are feeling competitive. If you want to lose weight, six miles at a ten-minute pace will burn 680 calories. If you can't catch a ball, you can still enjoy the experience of a team sport. At the same time, running is one of the easiest and cheapest ways to get away from it all. I think running illuminates what Freud called the “polymorphous perversity” of desire. Maybe the word “perverse” is a little strong, but the idea is that people can get their jollies in lots of different ways. 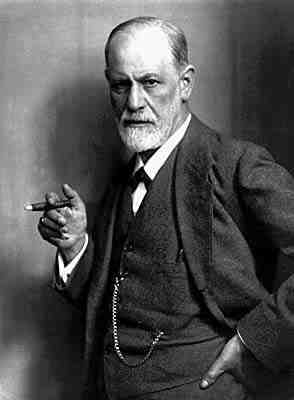 Forget your cartoon image of Freud—the uptight Austrian with a mother fixation. Freud was a genius because he was perhaps the first to understand that our deepest desires are not fixed. They change according to our upbringing, environment, relationships, experiences, and will. Humans are unique in that they can sublimate and repress their desires in lots of different ways. I started running in college for a mixture of idiosyncratic reasons, or, in other words, to satisfy a number of desires: I was tired of lifting weights and wanted to try something else. I thought it would improve my cardiovascular fitness (and I was especially interested in decreasing my sweating while playing drums). I ran a miserable 5k after no preparation and had something to prove. And I wanted to share something with my little brother, who was proving to be an elite high school runner. After a few months, I found that I enjoyed the experience of running (even though I seemed to be increasing my net amount of sweating). I gradually became someone who had to run—I feel restless and gross if I go more than a few days without running. My primary reasons for running have changed as well. Now, I am most driven to run in order to escape the office and use my body instead of my mind for a while. Throughout the years, I have also run in order to be closer with my good friend Jeff, to avoid the cost of joining a gym, and to have a stronger connection with nature. I think one of the main reasons I have stuck with running is that it has satisfied so many of my desires. And the more I run, the more I seem to need it because it creates new desires in me. I never knew I needed a runner's high until I started running. I never realized how many ails running can cure, including a bad day at the office, a headache, or a hangover. And, of course, I never knew about all the cool running shoes I could buy. It seems to me that those we call Runners are those who are most fulfilled by running. This may seem obvious, but I often hear people say things like, "I want to run a marathon—I just don't like running that much." I don't think this is contradictory or laughable. It's actually profound. Such people have not yet become marathon-level runners because they haven't found enough holes in their lives for running to fill. Maybe they never will, either because running can't satisfy their desires or something else does the job better. For example, I have found that people who begin running purely out of self-hatred in order to lose weight tend not to stick with it very long. Self-hatred can be a pretty strong drive, but unless it is turned into something else, like joy, it is easily directed towards something else, like another slice of chocolate cake. I think running can show us a lot about desire in general. You're not going to stick with something if your motivations are based on denial. Eating well, for example, is about finding things that you like—whether particular foods, the joy of cooking, or the way healthy eating makes you feel. Instead of denying your existing desires, it's about replacing your old desires with new ones. It's about becoming someone who wants to eat well, just as becoming a runner is about becoming someone who wants to run. If you want to change who you are, whether to be a better runner or a better person, you have to figure out how to replace the desires you don't want with the desires you do want. Running has shown me a lot about how to do that. Nice post, Zach. Hope to read more from you in the future. Thanks! I think writing this helped me want to run today! Cool post Zach - I've asked myself so many times since early high school what drives me to run so much. Never thought I'd look to Freud for some answers. Cool! It's funny: most of the reasons people list for running (staying in shape, being healthy, etc.) barely scratch the surface for me. I have to run.